If you are in the Singapore financial services sector, what are the reasons for Sales and Marketing alignment? We have often heard that the Singapore’s financial sector is highly competitive but nothing beats the facts. A recent survey by leading management consultancy firm, Bain & Company, found that Singapore financial institutions and retail banks (e.g. DBS, OCBC, UOB) lose a staggering 40% of new products sales to agile competitors such as fintech start-ups who are better at digital marketing. The survey found that 70% of respondents would switch financial service providers if it was easy for them to do so. For new entrants who are entering the local market or challengers who are seeking to upset the existing order (e.g. fund supermart which entered the securities brokerage business), this is an opportunity. For your company to grab a slice of the pie from willing consumers, your company must first create and ensure you have sales and marketing alignment between the two functional teams. Sales and marketing teams are not naturally aligned as they have different objectives. The sales team are more focused on the short term such as closing sales to meet the monthly or quarterly sales target, while the marketing team is more interested in creating a positive brand image and generating leads for the sales team. Here are three reasons why you should align both your sales and marketing teams. The widespread availability of information over the Internet means that buyers are now more empowered. For instance, when a company is looking to invest their excess funds for a good return, they can easily search for a list of fund houses and compare their returns, cost, volatility and so on that meet their criteria. When they are ready to buy, the sales cycle might be 30 days from the evaluation stage. The sales representative would need to interact with the clients that have the intention to purchase and not just interest. The sales representative would be frustrated when the client takes more than 30 days to respond as he can’t fulfill his sales target in time. 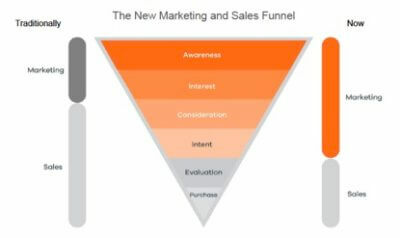 When the sales and marketing teams are aligned in today’s age, it means that marketing will agree to nurture the leads past the intent stage before passing the lead to the sales representative. By recognizing that 70% of the sales lead are not ready to buy yet in the buyer’s journey and passing on the remaining 30% who are ready to buy, the organization becomes more effective at sales. This means that your organization would require less salesperson to hit the same sales target or more. 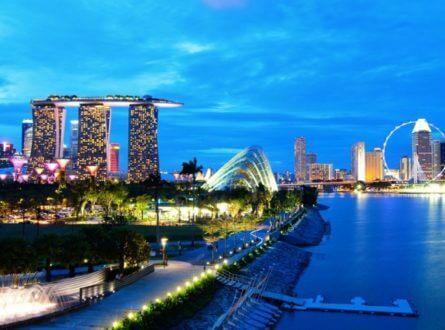 Singapore is famed for its strict financial regulation which provides peace of mind to investors and safeguard its sterling reputation as a financial hub. While there is significant money to be made, there are also risks involved in the process. For an organisation to be effective, it’s products must meet the customer’s demand and the sales person who is talking to the customer on the ground is most exposed to it. When marketing and sales are aligned, the marketing department would know which of its products have more demand. Then marketing can craft the right message on its advertising materials to reach out to other customers who have similar needs. On the other side, marketing can help spot if the sales person is crossing the regulatory line in their eagerness to close the sales. 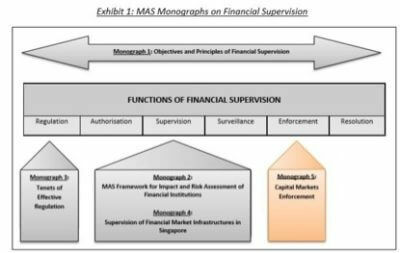 In Singapore, the marketing collateral has to be approved by both the internal compliance team which have in depth understanding of the MAS regulation. Therefore the marketing team can flag any potential troubles and prevent civil and criminal liabilities falling on the company and individual sales person. As companies learn to skip the vast majority of buyers who are not ready to buy, they can focus their limited time and energy on the buyers which are ready to buy. The sales person who is focused on closing the deals can’t read their prospect’s mind on their intent level. Only the marketing department which can do lead scoring (will be discussed in next article) will be able to do so. If the marketing department consistently provide weak prospects to their sales person, they will learn to ignore the leads provided by them. However, the marketing department can continue to nurture the lead such that they are ready and studies would then suggest approaching the vendor after 57% of the buying process is complete. By 2020, buyers will approach the sellers after 80% of the buying process is complete. 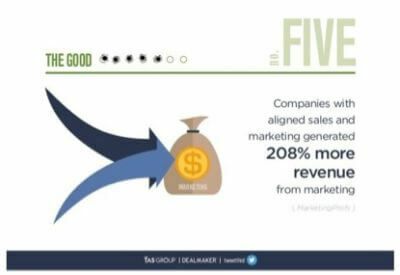 Research by MarketingProf showed that companies with aligned sales would increase their revenue by more than 208%. Now that you know of the importance of sales and marketing alignment processes, you will have to take action. In the next article, we will detail the possible actions to make that alignment possible. Stay tuned. 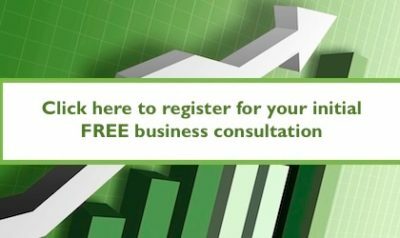 To find out more about how we can help with aligning your sales and marketing, please register below for an initial assessment.